Buttonwood Farm partnered with The Herbfarm restaurant's chef Chris Weber to bring you 2 recipes you can make using your Christmas tree as an ingredient. Infuse 1 1/2 cups Douglas Fir needles into syrup. (Save the remaining for the candied garnish.) Gently add verjus and crème fraiche. Chill the base for at least 1 hour. Freeze the sorbet for at least 1 hour. Dip remaining fir needles into egg white and whisk them around to coat. Drop the needles one by one into the sugar, then toss them around. Take the needles out and place them on acetate to dry. Allow to dry overnight, and they’ll be crispy by morning. 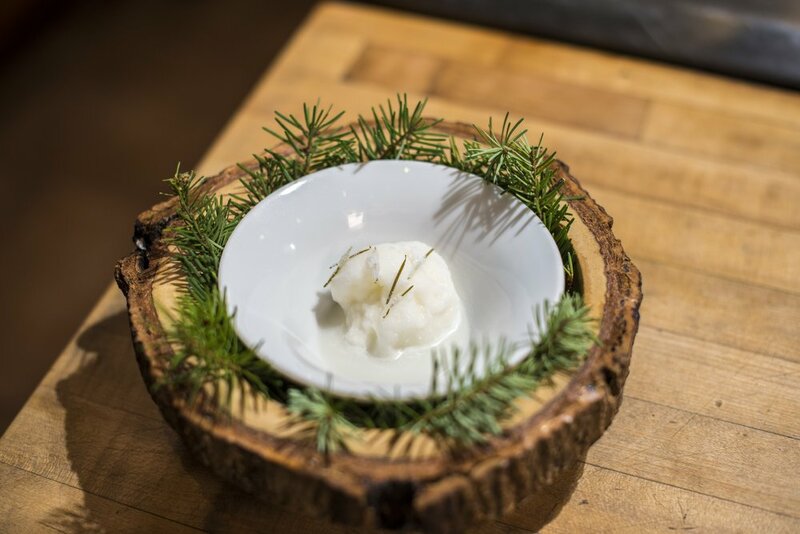 Serve the sorbet garnished with candied fir needles on top! Season both sides of the salmon with the ground spices, salt, and sugar. Cover with Douglas fir needles. Sprinkle gin on both sides of the salmon. Wrap the salmon in plastic wrap. Refrigerate for 5 days with a light weight pressing down on the wrapped salmon (a half gallon of milk is the perfect weight). Flip the wrapped salmon in the fridge after 3 days to weigh down the opposite side for the remaining 2 days. Before serving, remove excess fir needles. 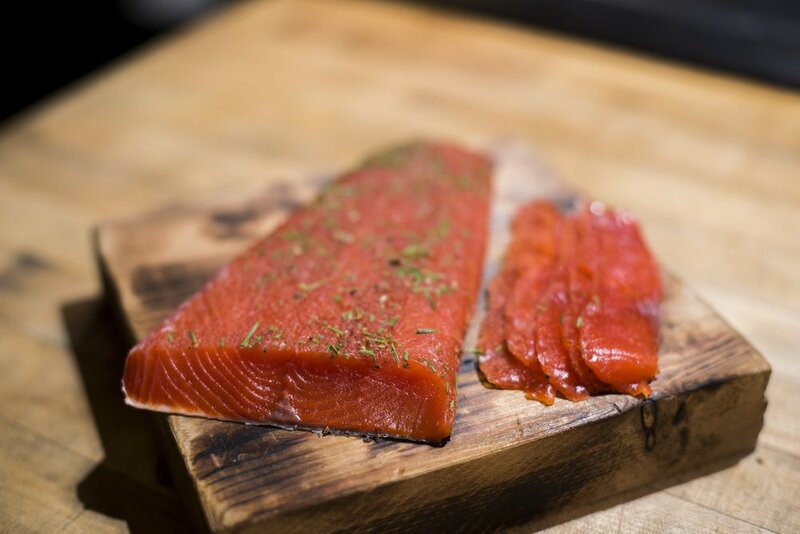 Slice VERY thin and enjoy with a bagel!